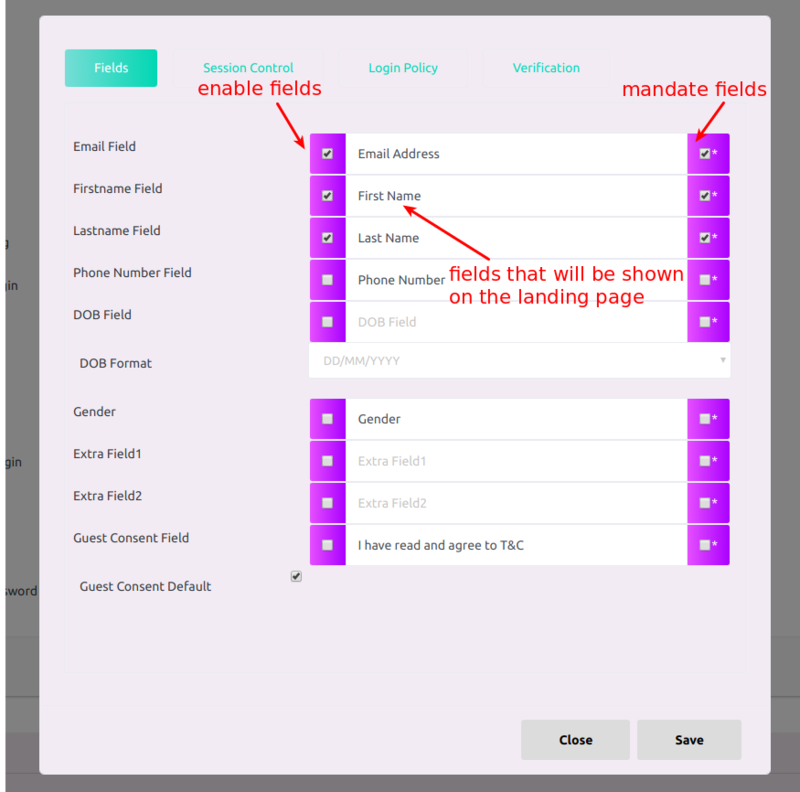 Select Email Login in Authentication methods and remember to press Finish. 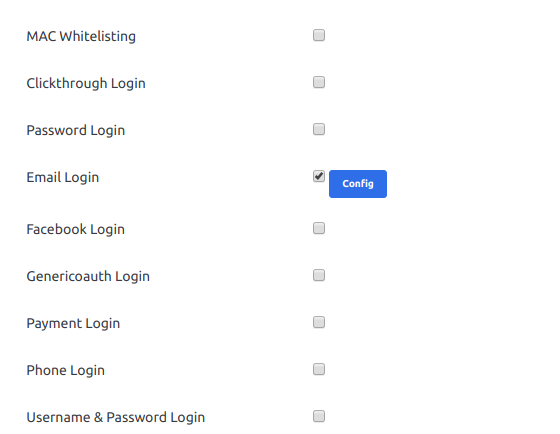 Press the config button to configure the fields and verification details asked from guest while logging in. 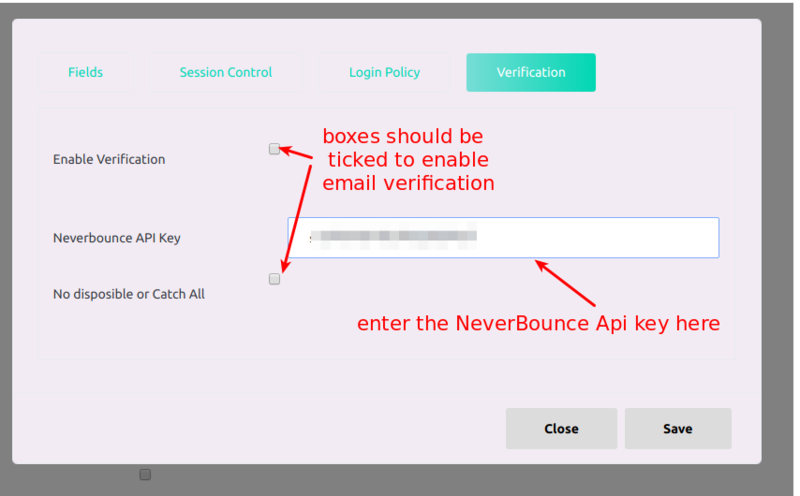 NeverBounce Api key is asked for verification in the panel, you can get Api key by referring to this article . 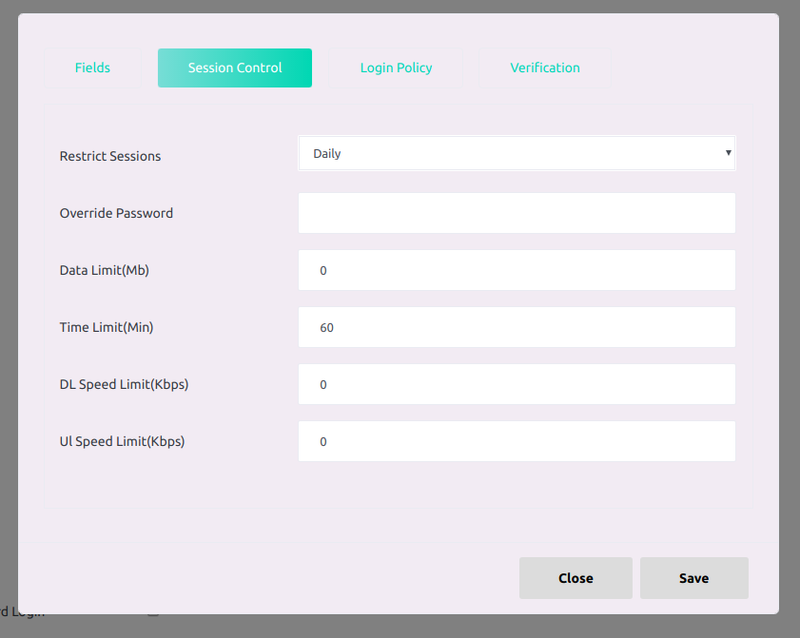 After providing the necessary details click save and dont forget to hit finish.